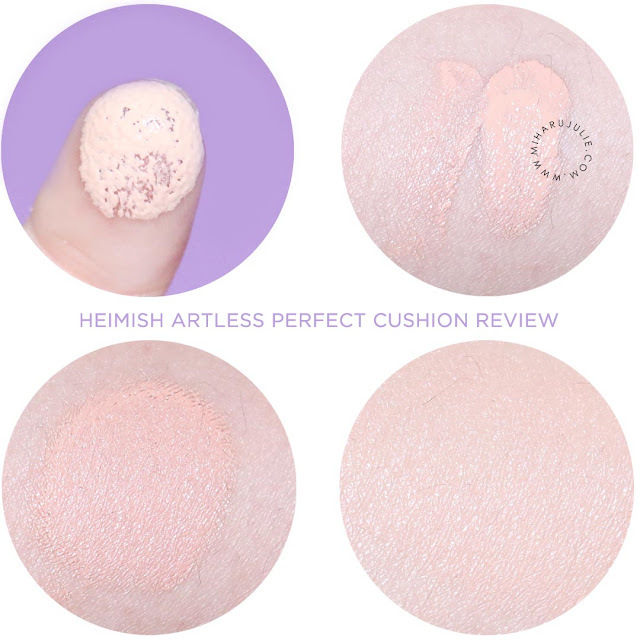 The cushion craze continues, but this time we have a completely new brand I want to introduce today: Heimish Artless Perfect Cushion! This cushion was offered to me by Korean cosmetics online shop Hermo Indonesia for reviewing purpose. 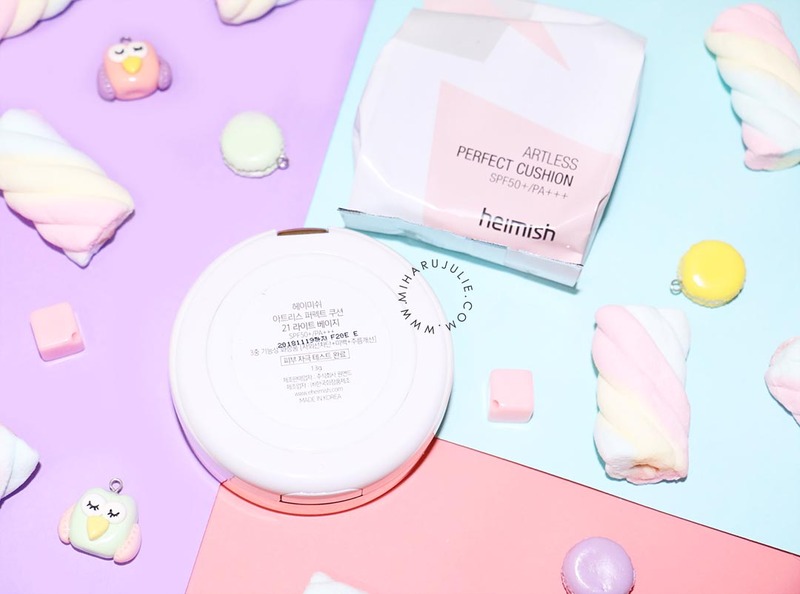 Heimish is a relatively new brand in the Korean department store market. It launched march 2016. Natural coverage abundant with moisture and radiance. Utilizes a moisture packing rich with a dewy glow to provide long lasting, natural coverage for a smooth, flawless finish. Gorgeous skin tone where continue application will not cause darkening. It’s light texture and excellent adherence enables repeated application without darkening therefore leaving y our skin gorgeous and clear all day long. Herb extracts that protect your skin. 21 Light Beige vs 23 Natural Beige: Both shades are quite neutral with a slight pink undertone for brightness. Drilled down; the 21 Light is a cooler neutral while the 23 Natural is a warmer neutral. The packaging is really adorable. 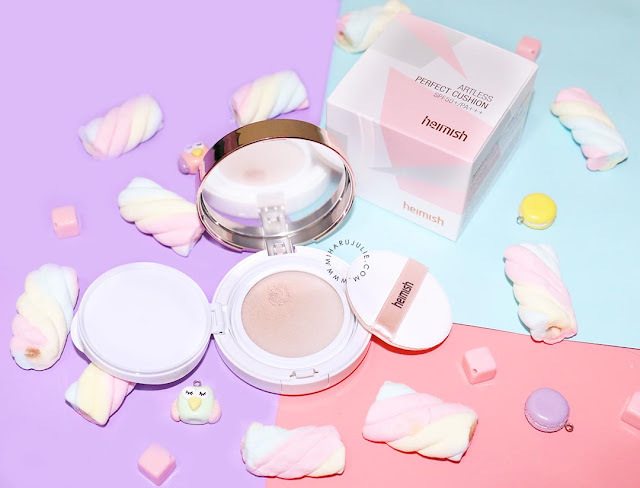 It comes in a portable compact case, with a mirror and a air puff. 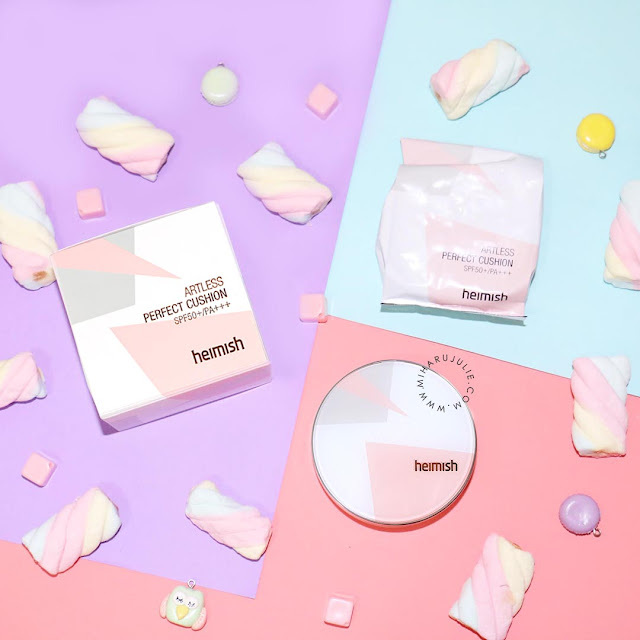 I was attracted to Heimish’s simplicity and elegance in their packaging and the company’s focus on natural and harmless ingredients. 2. than apply it along the skin texture, thin and wide, finish with massage. 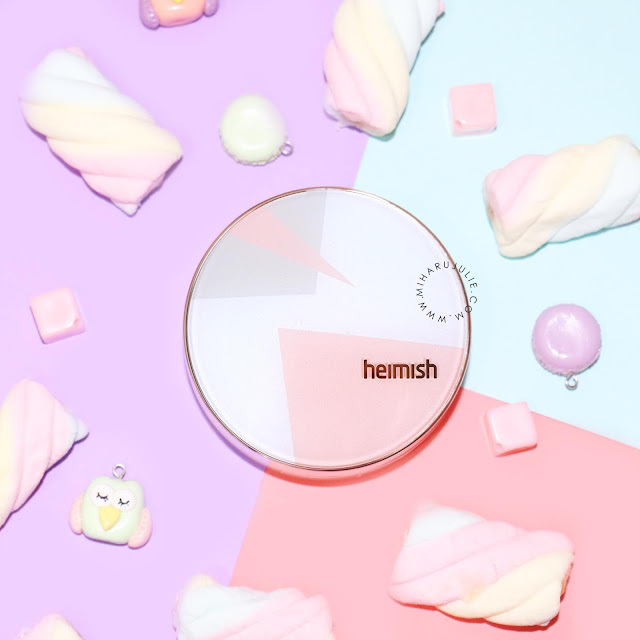 The texture of Heimish cushion is somewhat creamy, and it applies easily on the skin. 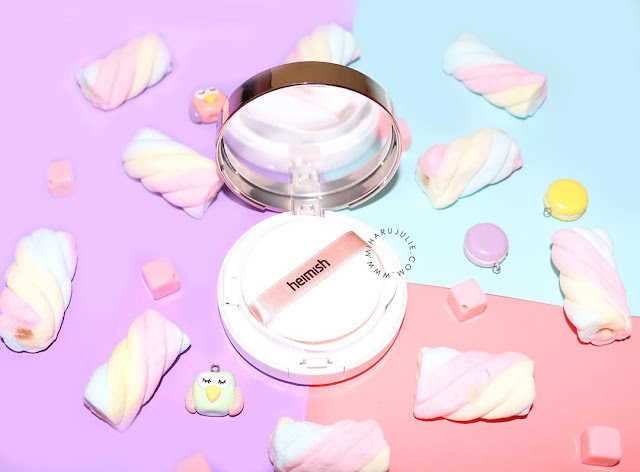 When you first apply it to the skin, it gives a more satin finish with a slight hint of dewy. 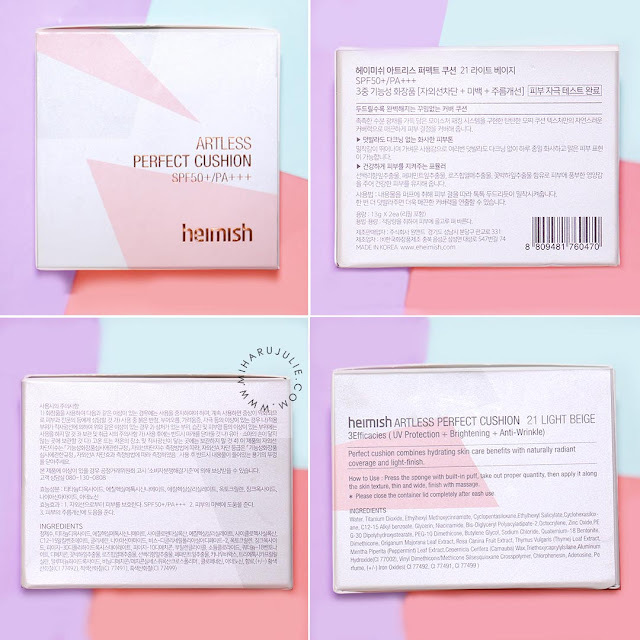 The coverage is light-to-medium that is buildable. It covers light redness well but if your looking for something that will cover a good amount of redness, this product isn’t for you. It contains UV protection, brightening and anti-wrinkle properties. 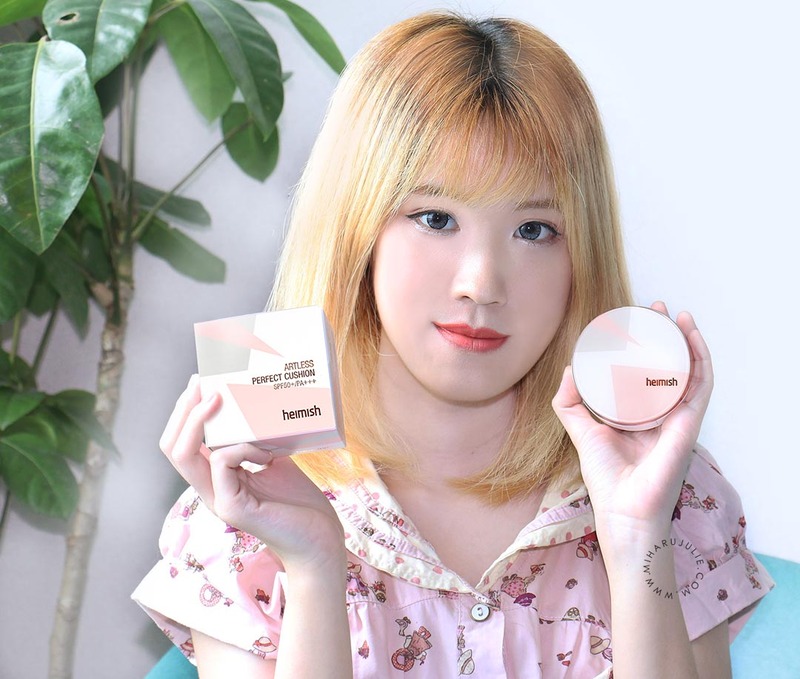 Overall, I am quite happy with the cushion pact (that scent, that scent!) and I would recommend it to those who are looking for an easy, simple product to use on an everyday basis. gatau deh sejauh ini klo buat kyk foundation kok saya cocok nya sm TOO COOL FOR SCHOOL yg lunch box ya??? This product sounds good! I like how all your photos have a pretty pink aesthetic to them too! 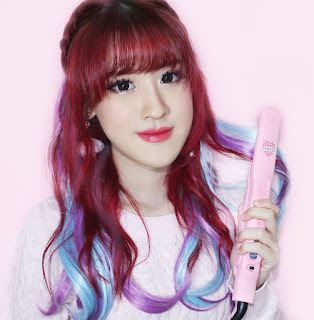 Ka julie mau naya dong heheh kalo cushion y cocok untuk kulit berminya apa ajah yah ?